Titan Roofing is comprised of a group of hard-working professionals who come from a long line of roofing and construction industry experience. No matter what the project, or how large or small your need, Titan Roofing is here to help. 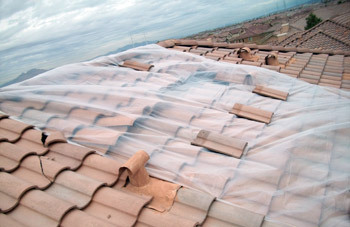 When we apply a new roof, we want our customers to know that we do the absolute best job to protect not only the value of your property, but the contents inside as well. Titan Roofing extends no dollar limit warranties, provides inspections, performs free estimates, and offers roof certifications. We offer a 10-year guarantee on all re-roofing projects. We accept all major credit cards, payment through escrow, homeowners insurance, and are registered with many home warranty companies. 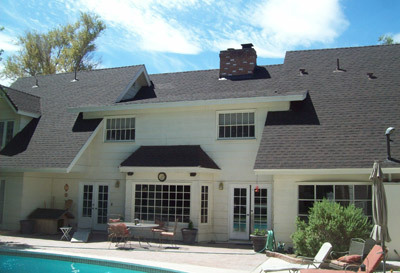 Titan Roofing is a full-service roofing contractor with 24-hour emergency service availability. Titan’s roofing crew has vast experience in the field and can perform any type of maintenance or repair from fixing a leaking roof, to providing a complete re-roof. When you decide to hire Titan Roofing as your contractor of choice, you can expect the best, no matter what the project may entail. 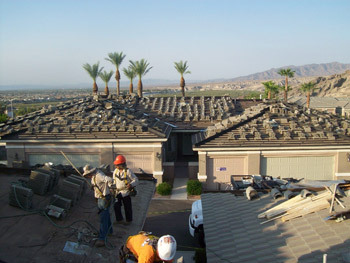 If disaster has struck, please call Titan Roofing immediately at (702) 597-0878, for a free estimate. Don’t let an emergency problem lead to further damage by delaying or waiting for additional warning signs to appear. Weather or not, we’ve got you covered. Titan Roofing is comprised of a group of hard-working professionals who come from a long line of roofing and construction industry experience. No matter what the project, or how large or small your need, Titan Roofing is here to help. When we apply a new roof, we want our customers to know that we do the absolute best job to protect not only the value of your property, but the contents inside as well. And we extend a 10-year warranty on every roof we re-roof. At Titan Roofing, our terms are easy, we work for you! Titan Roofing extends no dollar limit warranties, provides inspections, performs free estimates, and offers roof certifications. We accept all major credit cards, payment through escrow, homeowners insurance, and are registered with many home warranty companies. We also offer a 10-year guarantee on all re-roofing projects. 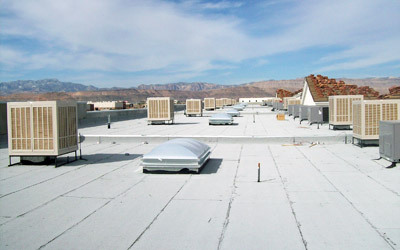 At Titan Roofing, you will never have to worry about where your estimate or work order is in our service chain. Because we know your time is valuable, and you’ve got more important things to worry about in managing a property, you will be assigned your own team of roofing professionals who are available to answer all your questions, provide you with detailed reports, and record complete digital photo documentation. We provide these resources as tools to assist you in serving your property owners professionally and efficiently. At Titan Roofing, we work hard to be a full-service roofing contractor. That includes waterproofing. Our estimates are always free, so give us a call for your waterproofing needs. Below is a list of some of the many services we provide. If you’re a Real Estate agent, or selling your home yourself, you need to certify that the roof of the home, or homes you are selling will not leak. 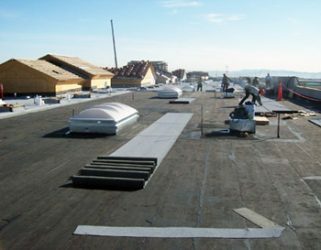 Contact us for a thorough roof survey, inspection and certification. 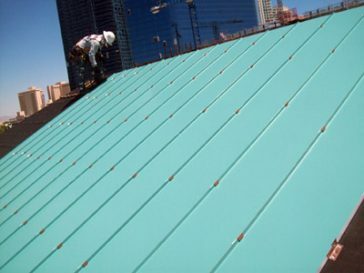 We also provide commercial roof management consulting, with customized maintenance programs, as well as Roof Restoration and Cleaning Services. 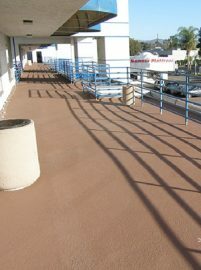 Titan Roofing cares about helping you protect all areas of your property that are exposed to natural elements including, but not limited to, decking surfaces.